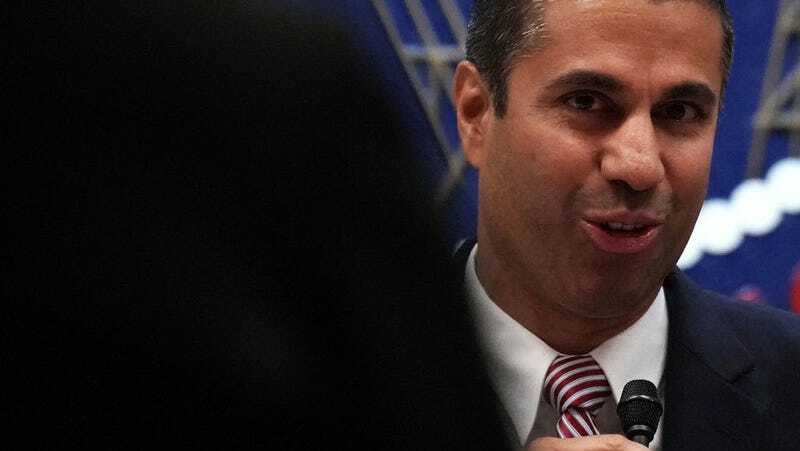 Ajit Pai, the former Verizon lawyer and FCC chairman who repealed net neutrality despite public opposition, may not be running a clean ship. Shocking, I know. But stay with me here. However, after nine months of deliberation, negotiation, and discussion, we’ve made no progress toward a single proposal that will actually further the goal of equitable broadband deployment. Although we’ve adopted principles that pay lip service to that objective, not a single one of the draft recommendations attempts to meaningfully identify any new or significant resources to promote digital inclusion. According to his letter, Liccardo found himself at the end of his rope during the panel’s most recent meeting in Washington, DC. He described one working group that didn’t include a single municipal representative but was stacked with telecom cronies. It produced a draft for revisions to state code that would take the decision-making power on industry applications to deploy broadband away from local governments. He also cited another instance in which an industry representative dramatically rewrote municipal code that a working group had been refining for months. He said that in all instances, the results of the panel’s work have ended with provisions that favor the industry rather than the public. “It’s obvious that this body is going to deliver to the industry what the industry wants,” he wrote. Though Pai and the White House that he works for have publicly proclaimed that broadband deployment in the US, especially to the millions of rural Americans who lack access, is a major priority, this FCC has put forward many initiatives that harm low-income and rural Americans. Most recently, it went back on a proposal to redefine broadband standards in a way that would make telecoms look like they’re making more progress than they actually are. Back in August, the Center for Public Integrity reported local government officials had been largely frozen out of the Broadband Deployment Advisory Committee (BDAC). One of the committee’s primary goals is to review city and state rules that could speed up the installation of high-speed internet. But three out of four seats on the panel have been filled with corporate executives and members of telecom industry trade groups. Some of the members told the CPI that among the unstated goals “is to make it easier for companies to build networks for the next generation wireless technology, called 5G.” In other words, telecoms are targeting regulations that hold them back from improving big money-making markets, rather than focusing on deploying broadband to underserved Americans. When reached for comment by email, the Mayor’s office sent Gizmodo a statement saying that he supports 5G deployment efforts, but he feels the panel is just trying to get taxpayer subsidies for an off-topic cause. “Despite the BDAC’s stated purpose of identifying resources to improve broadband access to underserved poor and rural populations, the body did not craft a single measure that identified a new or substantial source of new funding for that purpose,” the statement reads. The Broadband Deployment Advisory Committee and its working groups have brought together 101 participants from a range of perspectives to recommend strategies to promote better, faster, and cheaper broadband. Bridging the digital divide continues to be my top priority, and I look forward to continuing to work with the BDAC and many others to remove regulatory barriers to broadband deployment and to extend digital opportunity to all Americans. Pai, a former Verizon lawyer, is a man who recently cracked jokes about how Verizon owns his every move at a gala for telecom lobbyists and lawyers. And while it might be hard to believe that he’s the kind of guy who’d sell out his agency to the very industry the FCC is designed to protect consumers from, his colleagues are saying it in plain English.